!!!! !Price Reduced!!!!! 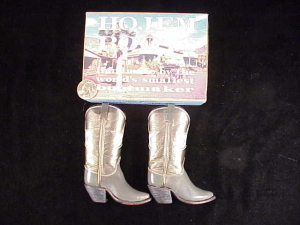 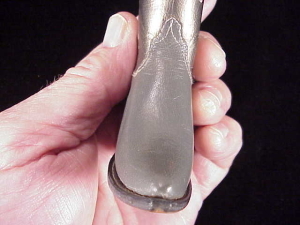 This is a pair of 1/4 scale hand made cowboy boots made by master boot maker Glen Hojem of Idaho. 5″ tall, 3 7/16″ heel to toe. 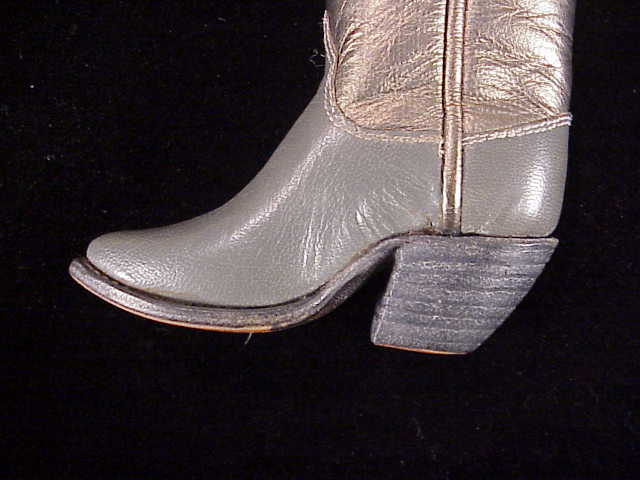 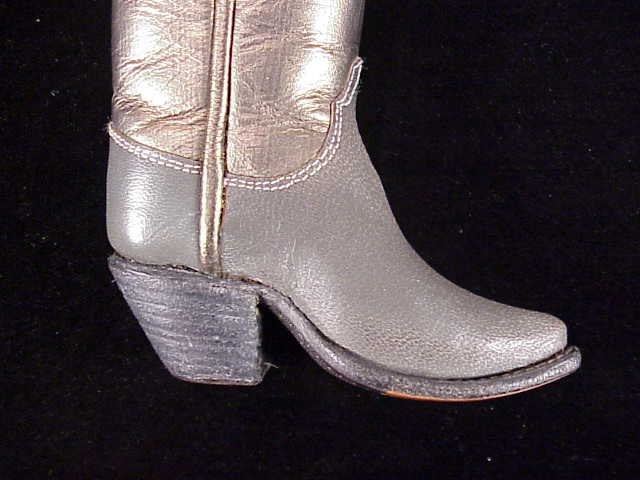 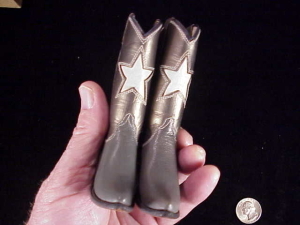 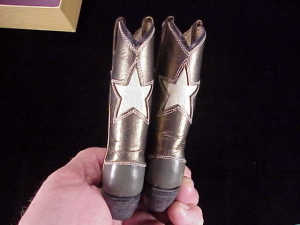 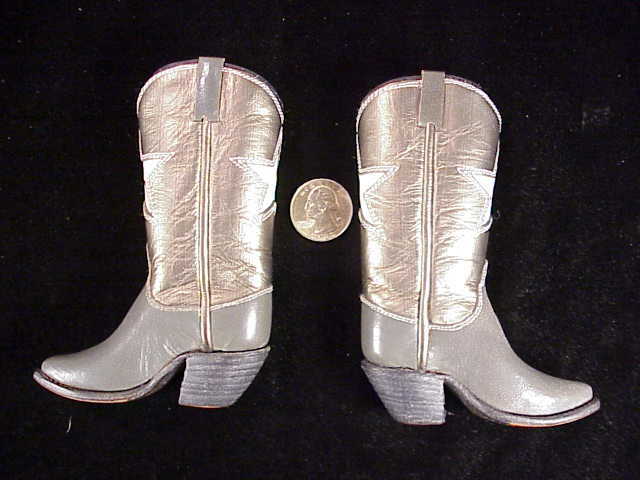 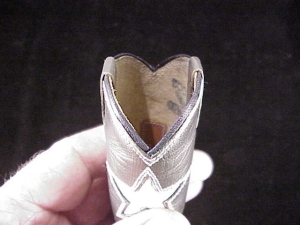 The lowers are made of a gray leather, the uppers of a gold leather with white five point Texas stars on front and back. 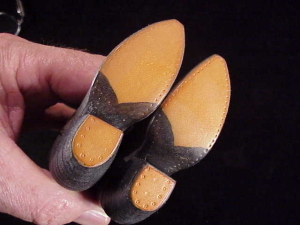 Leather sole with stacked leather heal. 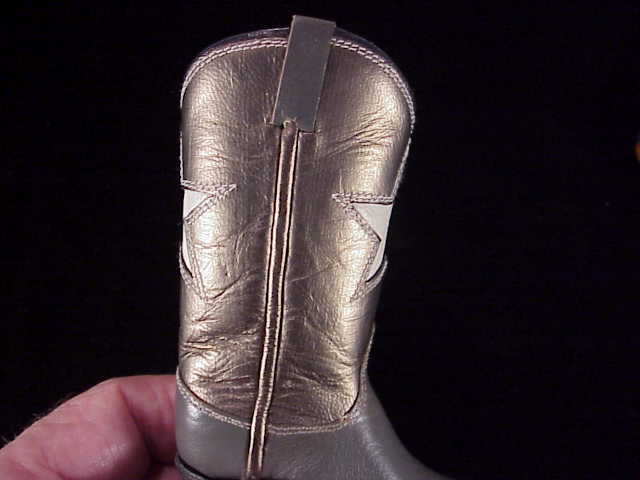 The uppers have do not have fully lined interiors. 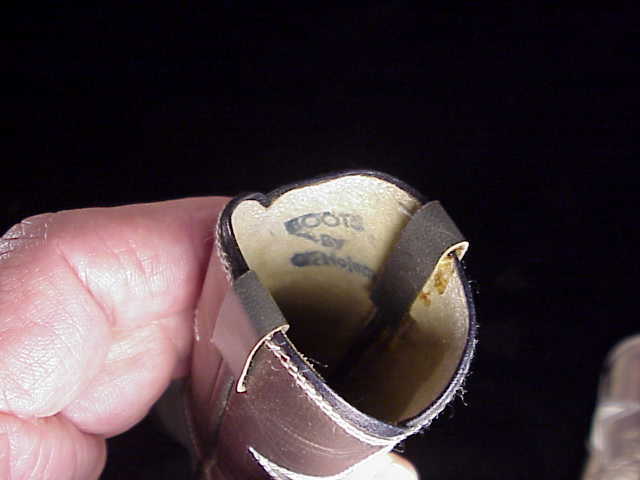 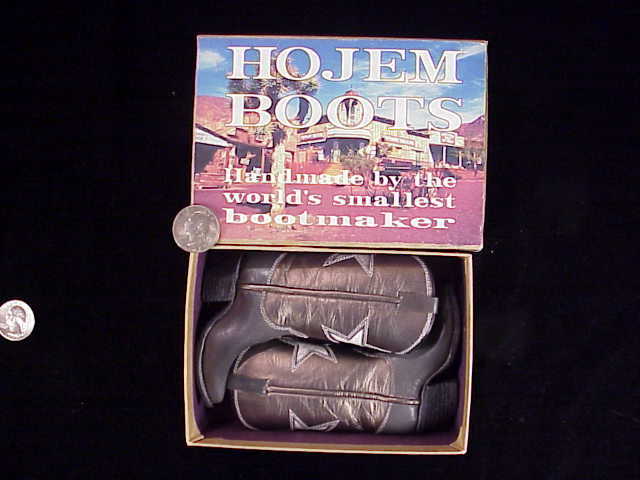 The interior of both boots stamped with Mr. Hojem’s maker’s stamp “BOOTS, By, G. Hojem” in three lines. 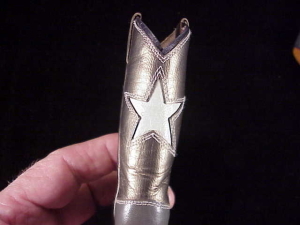 The workmanship and materials are just superb, and anyone who appreciates fine leather work will understand! Includes a non-original box made up my Imperial Miniature Armory 15 – 20 years ago. 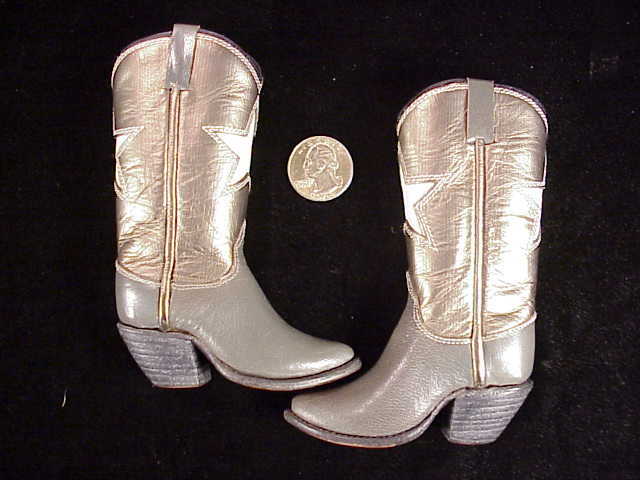 Very rarely seen or offered for sale. 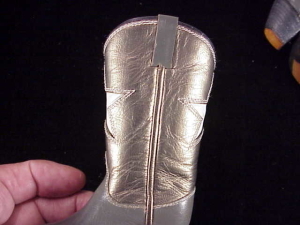 Price Reduced: $200.00.